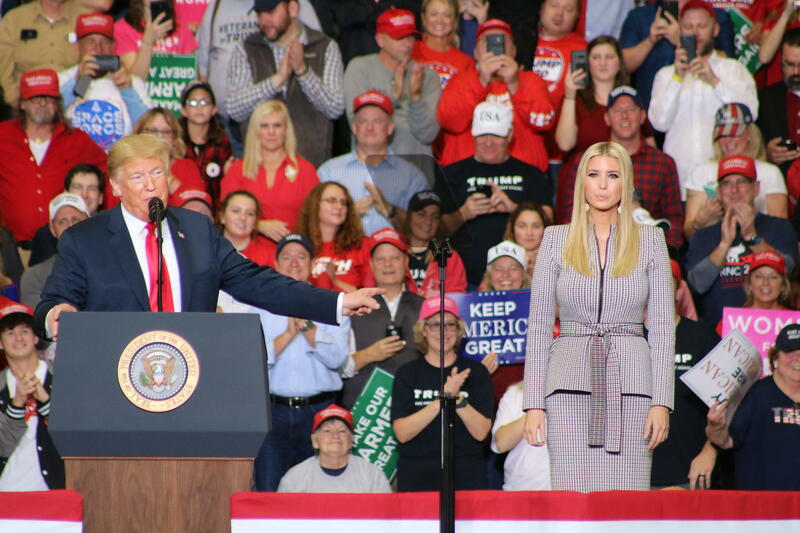 Ivanka Trump joins her father onstage during a rally visit to Cape Girardeau last night. 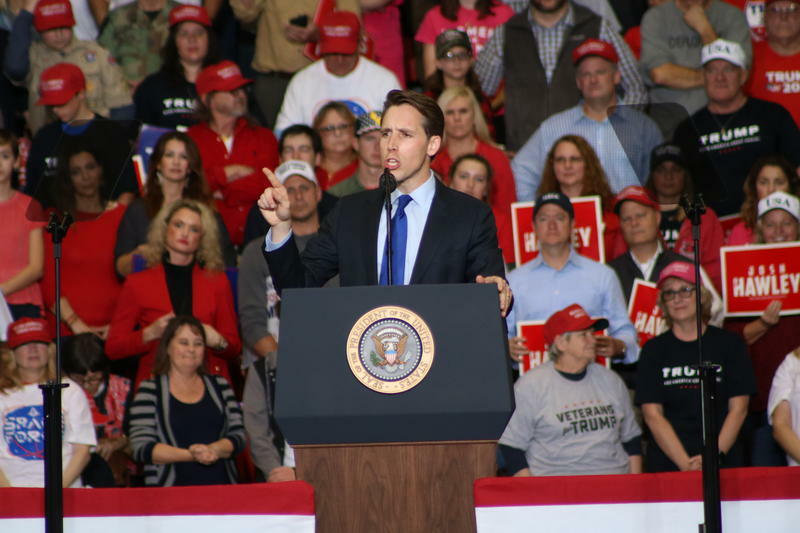 AG Josh Hawley speaks at Trump's final rally before the midterm elections. Counselor to the President, Kellyanne Conway waves to supporters onstage at the rally. Supporters stand in front of an American flag at last night's rally. 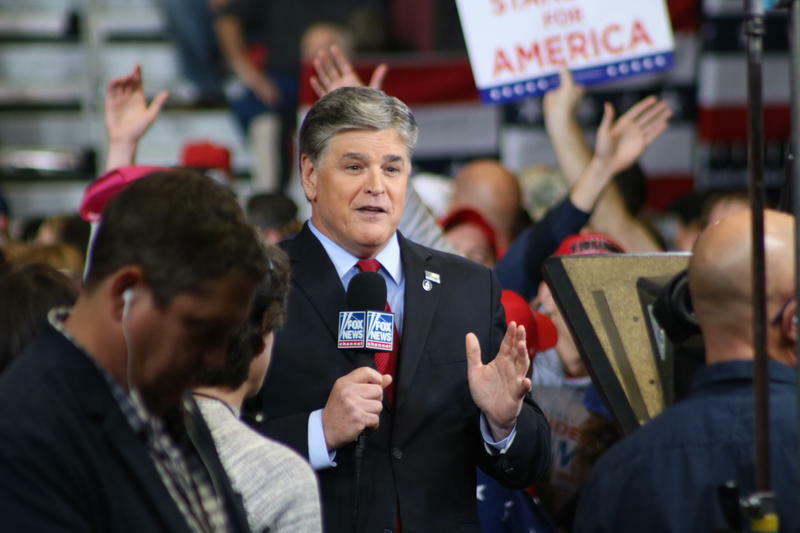 Conservative radio talk show host Sean Hannity makes an appearance at last night's rally. 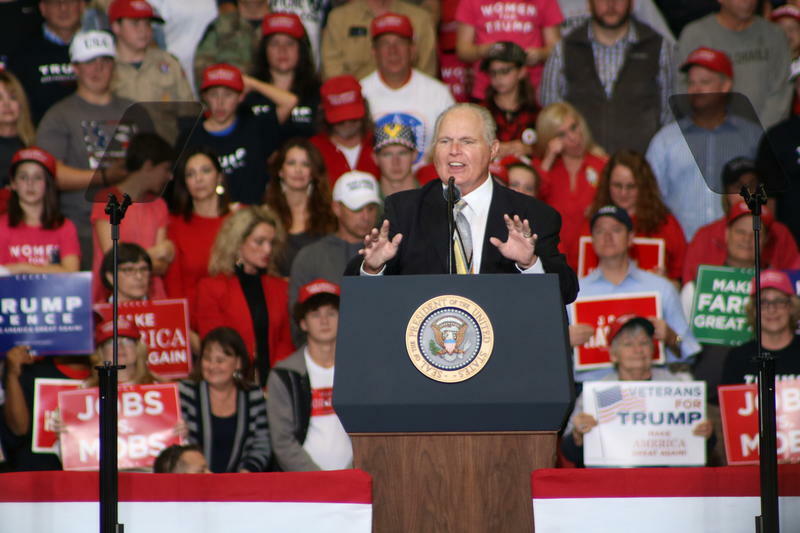 Fox News commentator and Cape Girardeau native, Rush Limbaugh speaks before Trump's arrival at the Show Me Center. 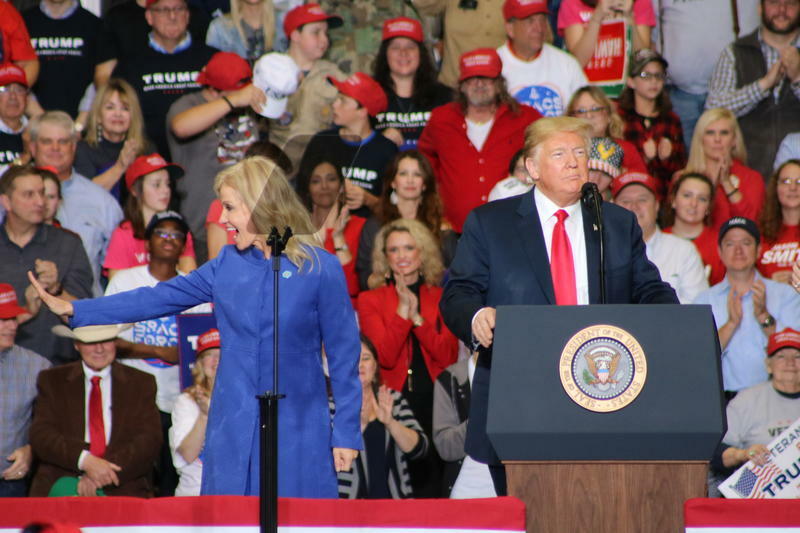 Joined by several guests, President Trump visited a full Show Me Center in Cape Girardeau, Missouri for a final campaign rally last night before midterm election polls opened across the country today. 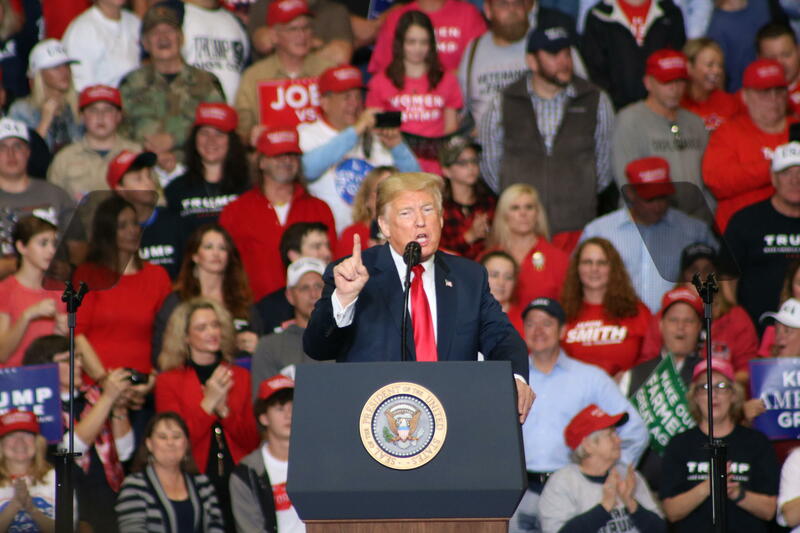 It was his third rally of the day, and it concluded at approximately 11 p.m.
During Monday’s visit, President Trump continued to boost Republican candidate Josh Hawley in the U.S. Senate race against Democratic incumbent Claire McCaskill. He claimed McCaskill’s recent support for border security was one to be short-lived. He continued criticizing McCaskill for voting against middle-class tax cuts, against Supreme Court Justice Neil Gorsuch, and against confirming Justice Brett Kavanaugh to the Supreme Court in September. He also stated that McCaskill has one of the most open border voting records in all of Congress. 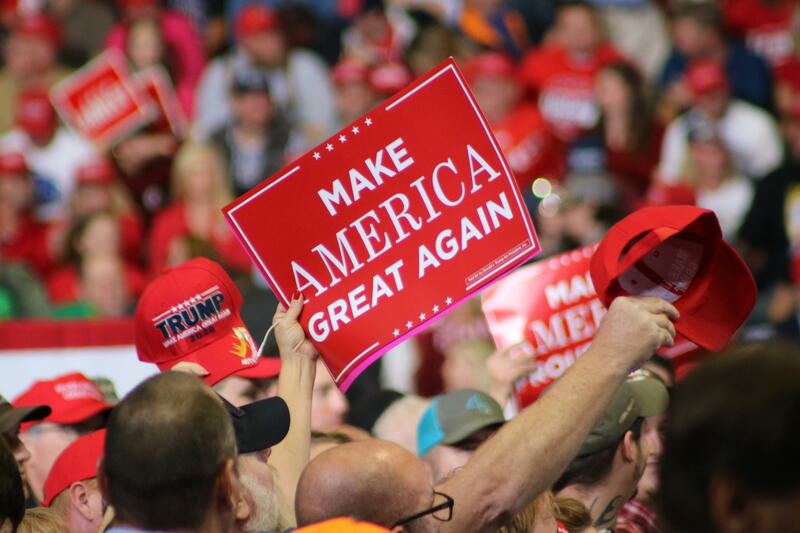 Trump also warned supporters that if democrats gain power through this election, there could be a socialist takeover of american healthcare, causing taxes to triple, and possibly quadruple. 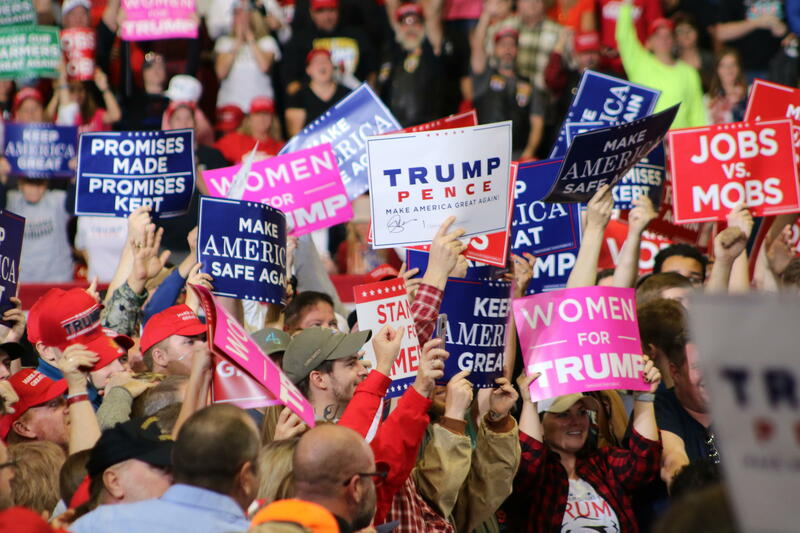 Trump claimed that Josh Hawley would be a “tireless champion” for the people of Missouri, if elected. “He’s great on jobs, he’s great on cutting taxes, and there is nobody tougher on crime. He shares your values, and he will always support our military, our veterans, and our great law enforcement,” said Trump. 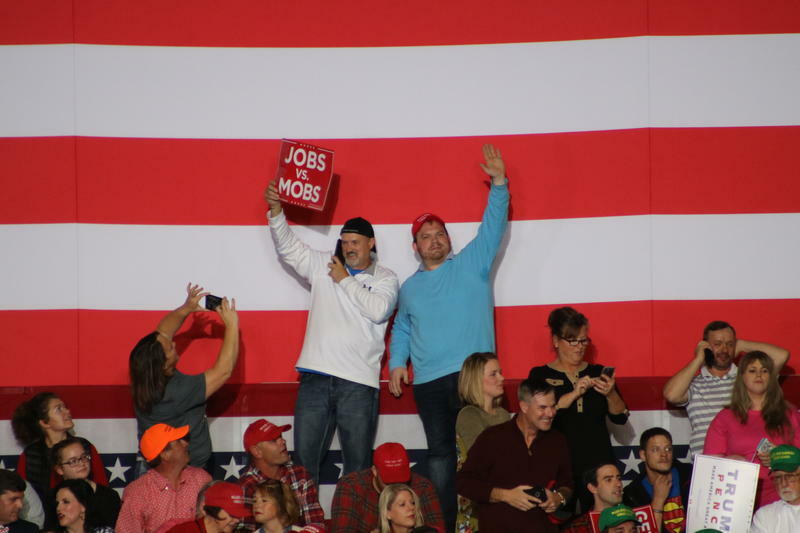 A slew of guests appeared at last night’s rally, including Missouri Governor Mike Parson; Missouri Attorney General Josh Hawley; conservative radio talk show host, Sean Hannity; U.S. Representative for Missouri's 7th Congressional District, Billy Long; U.S. Representative for Missouri’s 8th Congressional District, Jason Smith; Fox News commentator, Rush Limbaugh; Counselor to the President, Kellyanne Conway; White House Press Secretary, Sarah Huckabee Sanders; singer Lee Greenwood; and even the President’s daughter, Ivanka Trump. While Trump spoke chiefly on the midterm elections, he also touched on the elections slated to take place in November of 2020. U.S. Representative for the 8th Congressional District, Jason Smith spoke before the President, and asked the crowd to look ahead. A supporter holds a "Make America Great Again" sign above the crowd at last night's rally. Midway through the rally, a member of the audience passed out. The President paused, asked for a doctor, and waited nearly 8 minutes until the woman was cared for to begin speaking again. During the break, the crowd prayed and broke out in song: an a cappella rendition of Amazing Grace. 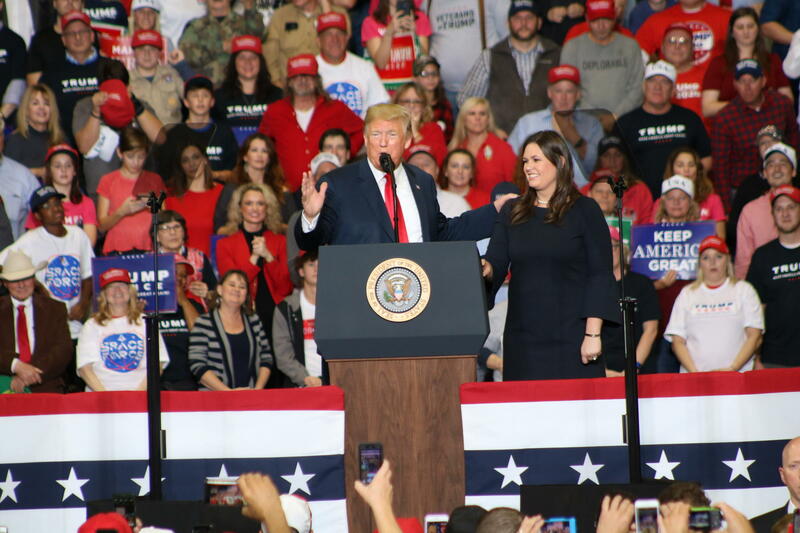 White House Press Secretary, Sarah Huckabee Sanders joins Trump onstage at last night's rally.